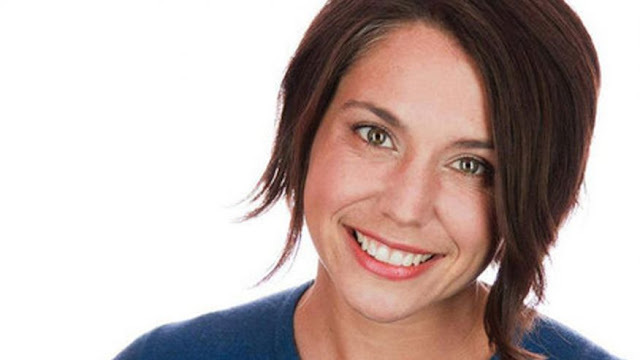 The family of a Washington D.C. yoga instructor and theater actress who vanished on Christmas Day said early Tuesday that her body had been found. Tricia McCauley’s brother made the announcement in a Facebook and thanked her “D.C. family” for helping in the search for her. "Hang on to each other," Brian McCauley said. The discovery of McCauley’s body came hours after police located McCauley’s missing 2-door Scion iQ hatchback and had taken a “person of interest” in for questioning, according to NBC Washington. Police haven’t made any announcement of an arrest in McCauley’s death. McCauley, 46, was last seen around 4:30 p.m. Sunday in the Bloomingdale neighborhood of Washington, police said. McCauley was supposed to have dinner at a friend’s house in northwest D.C. and was expected to fly out to visit family on Monday. Police released a picture of a man who they said might’ve been driving McCauley’s vehicle. Police in Washington, D.C., are asking for the public's help as they investigate the death of a yoga instructor and actress whose body was found overnight in her car after she went missing Christmas Day. A suspect is in custody, D.C. Chief of Police Peter Newsham said at a news conference this morning, but he urged the public to help authorities piece together the suspect's whereabouts on Monday. Tricia McCauley, 46, was last seen Christmas Day around 4:30 p.m.
After a missing person notice was released, police received a tip, and authorities found McCauley dead in her car around midnight Monday, Newsham said this morning. When she died is unclear, Newsham said. He called today's news conference "excruciatingly painful" for her family and friends. McCauley, a yoga instructor, was also an actress and member of the Screen Actors Guild, according to ABC Washington affiliate WJLA-TV. Her brother told the station she had prepared a dish for a friend's Christmas party but never arrived at the celebration. He said the dish was left on her kitchen counter. Newsham said police do not believe the suspect knew McCauley. There appeared to be trauma to her body, but an autopsy has yet to be completed, he said. Police are urging the public to help them with a timeline of the suspect's whereabouts. The suspect, whose name authorities say they will release later today, went to various locations Dec. 26, Newsham said, and at one point allegedly had possession of McCauley's car. On Monday, between 9:15 and 9:30 a.m., the victim's car and the suspect were in the 700 block of Fourth Street, Newsham said. The suspect was allegedly involved in a theft at a CVS store at that location and allegedly assaulted employees there, Newsham said. He said other believed sightings of the suspect Monday include between 8 and 8:30 a.m. on the 400 block of Massachusetts Avenue NW, between 11 and 11:50 a.m. on the 2300 block of Washington Place NE, between 1:15 and 1:35 p.m. on the 400 block of Rhode Island Avenue NE and between 2 and 2:20 p.m. on the 2800 block of Seventh Street NE. After a tipster saw the suspect allegedly driving the victim's car, police arrested the suspect on the 2200 block of M Street NW, Newsham said. The investigation is proceeding rapidly, Newsham said, but he urged anyone who saw the suspect at any of those locations to call police to help them piece together the case. Tricia McCauley's car was found outside of a DC CVS. ( (Newser) – The body of a DC yoga instructor who disappeared on Christmas has been found, according to her family and police. NBC Washington reports that Tricia McCauley's brother made the sad announcement on Facebook Tuesday morning, offering thanks to his 46-year-old sister's "DC family." "Tricia is gone, they have found her body," Brian McCauley posted, per WUSA9. The man arrested in connection to the death of a D.C. yoga instructor gave police the keys to her car after he was confronted in a CVS store Monday night, ending the hours-long search for the woman who disappeared on Christmas Day, a police report reveals. Tricia McCauley, 46, was found dead inside her car early Tuesday. D.C. police believe a man she did not know had been driving it. McCauley was an actress who was lead teacher at Yoga District's Bloomingdale location and also a licensed nutritionist. Friends admired her kindness, Yoga District founder Jasmine Chehrazi said. "Tricia was a very strong leader and at the same time a very gentle, compassionate, nurturing person," Chehrazi said. "She basically embodied the teachings of yoga, which start with ahimsa, which is nonviolence and acts of love." The search for McCauley began the day after Christmas, after she failed to show up to Christmas dinner at a friend's house and then missed a flight out of Ronald Reagan National Airport on Monday morning, her brother and friends said. 0 Response to "Body of missing DC yoga instructor and actress found, family says"